A large cube (30 cm X 30 cm X 33 cm) is displayed and shown to be completely empty. You then place into the cube, silks/balls or even a small rabbit! 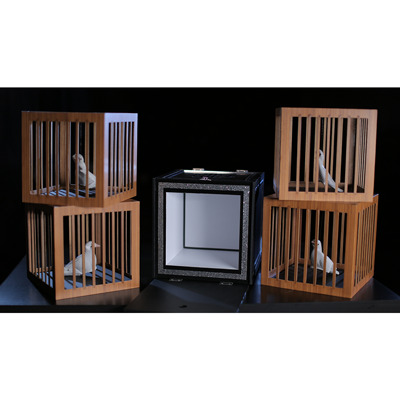 Amazingly all these items transform into four large cages that hold artificial doves. This amazing prop is hand crafted and painted to the highest standard by Tora Magic Company and its completely self contained, which makes it very easy to transport.